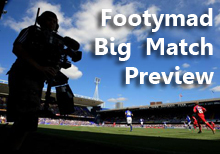 Nottingham Forest prepare to entertain Peterborough United at City Ground on Monday afternoon, with high hopes of improving on their excellent record against the opposition, having managed to conjure up a win from 4 of the previous 6 games. The most recent encounter between these two sides at City Ground was two seasons ago, in March 2010, the Forest carving out a narrow 1-0 victory in a Championship match. Nottingham Forest have had an average home run of late, winning and losing 3 each of the last six games. The Forest's have scored 6 goals in these games, but conceded an alarming 8. Peterborough United have an average recent record on the road, seeing them win just 1 and draw 2 of the last six. The Posh's have scored 9 goals in these games, but conceded an alarming 11. Nottingham Forest are stuck down in the relegation zone of npower Championship with a return of just 21 points from their 22 games thus far. Nottingham Forest Been beaten in each of their previous 2 home matches. Peterborough United Not won in previous 5 away matches.